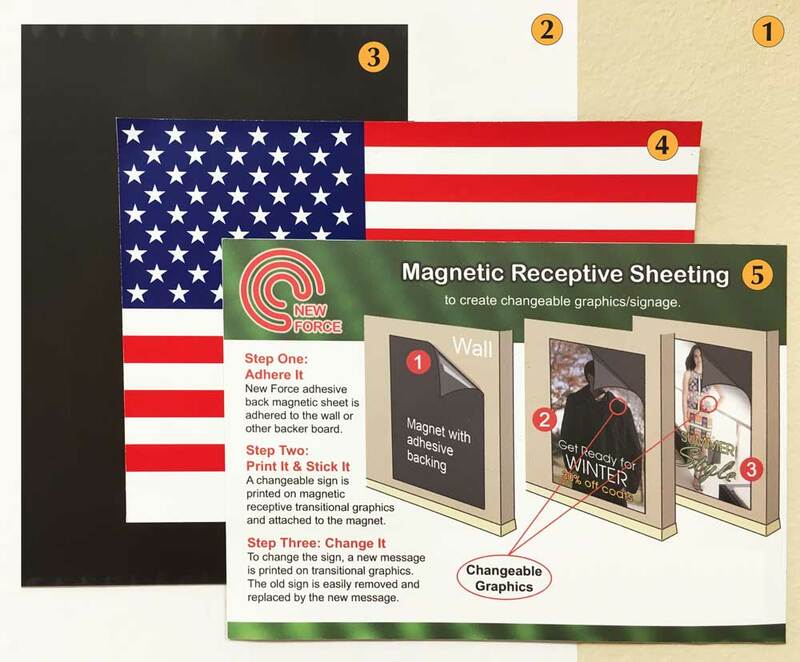 Adhue Graphic Resources has a wide selection of magnetic materials. We offer multiple receptive and adhesive backed rolls with custom width and length solutions for your needs. Magnetic material works great for a fast and easily changed display with printable capabilities. Contact one of our friendly Sales Staff for a quote on our Magnetic Material today! Perfect for fast and easy wall graphic changes without leaving any residue. Available in widths up to 48" with or without adhesive, or in white. Choose plain surface or several different laminates, including several colors. May be UV screen printed, eco solvent or solvent inkjet printed. Available in large or standard-sized rolls.